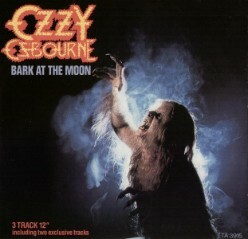 The perfect Halloween track, Bark At The Moon was the title track from the album (released December 10th 1983) and reached#21 in the UK and #109 in the U.S. However, the album charted higher in the U.S. reaching #19 and gaining 3x Platinum sales, where as it reached #24 in the UK reaching Silver status. 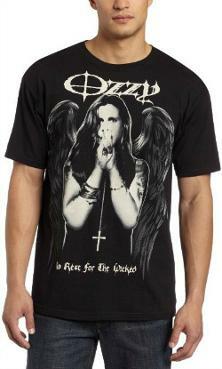 Since 1980, Ozzy Osbourne has released 10 solo studio albums and 33 singles. His last single to chart in the UK was the cringeworthy Changes, a duet with his daughter Kelly which topped the charts in 2003. 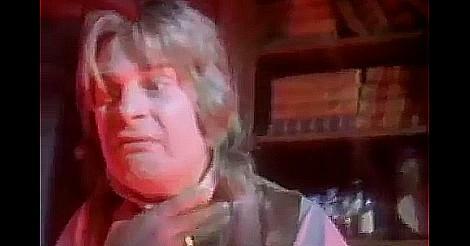 Despite the fact that the lyrics were attributed exclusively to Osbourne, "Bark at the Moon" was co-composed with guitarist Jake E. Lee and bassist/lyricist Bob Daisley. Lee states that he was threatened with contract termination by Osbourne's better half and chief Sharon, in the event that he declined to sign a 1983 contract expressing that he would surrender his claims to composing and publishing. In 2003, Daisley documented a claim against the Osbournes, asserting lost sovereignties for his huge songwriting commitments.